Home Banking How to Check Catholic Syrian Bank Account Balance? How to Check Catholic Syrian Bank Account Balance? 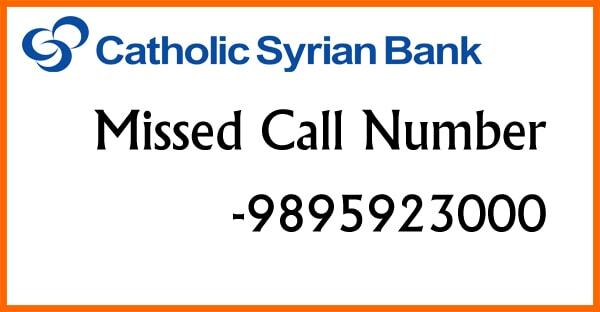 Catholic Syrian Bank Provides a Missed Call Balance inquiry number that enables the account holder to give a missed call on a Catholic Syrian Bank Missed call Number. The Catholic Syrian Bank Missed call Number to check bank account balance is 8828800900. After giving a missed call the bank will send the bank account details via SMS. Net Banking is an easy to use banking service that empowers the account holder to use the latest technology to use the banking service. Net Banking can be used 24X7 and 365 days without any issue which makes it convenient and is secured with encryptions. You can use any of the banking service like fund transfer, Balance check, Statement etc. To avail this service the account holder must have a login detail. After receiving the login details the account holder can use the Catholic Syrian Bank Net Banking. Now select the Balance inquiry option form the menu. How to Check YES Bank Account Balance?